long-term, central venous indwelling catheter with external port(s). 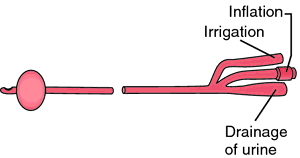 a type of central venous catheter used for the long-term administration of substances via the venous system, such as antibiotics, total parenteral nutrition, or chemotherapeutic agents. It can be used for continuous or intermittent administration and may have either a single or a double lumen. 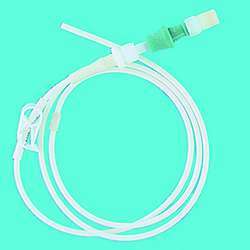 Chronic tunneled central venous catheter Nursing An indwelling silicone elastomer device that provides long-term IV access for administering total parenteral nutrition, hyperalimentation, blood products, drugs, high-dose chemotherapy. Cf Port-A-Cath. Complications of percutaneous insertion of Hickman catheters in children. 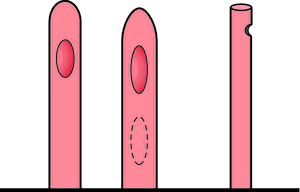 Treatment of Hickman catheter sepsis using antibiotic lock technique. Inhibitory effect of disodium EDTA upon the growth of Staphylococcus epidermidis in vitro: relation to infection prophylaxis of Hickman catheters. Inhibitory effect of disodium EDTA upon the growth of Staphylococcus epidermis in vitro telation to infection prophylaxis of Hickman catheters. Peripherally inserted central catheters have a lower incidence of infection than do Hickman catheters, but they become infected more quickly, Dr. Discard volumes necessary for clinically useful coagulation studies from heparinized Hickman catheters.